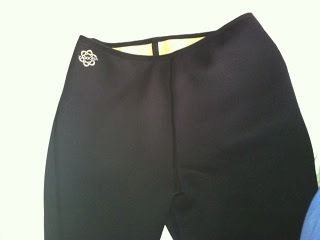 MamaBreak: Zaggora Pants to Sweat the Weight Off! 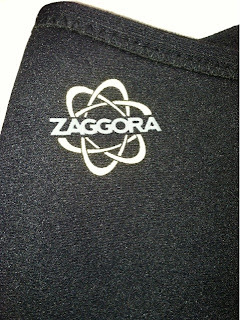 When I first heard about Zaggora, I have to tell you-- I did not know what to think. Clothing that can help you to lose weight??? Really?? REALLY!!!! I was so excited to try out Zaggora when working out, because every little bit helps! The outside of the pants are not much different than most work out clothes. They do not look really out of the ordinary. That is until you can actually feel them. The inside is an almost cushioned fabric and when you put on the pants, it is very similar to putting on a surfing or scuba suit. Do they work? Holy cow! They DO!!!! I put them on, and they do cause me to sweat more and feel like I have worked out my legs, thighs, and even stomach a little more! They are now my go to pants when I work out! 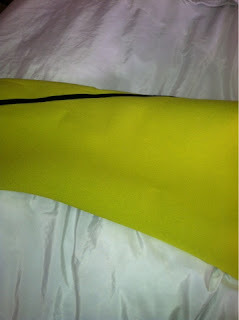 MamaBreak received a pair of hot pants to review. We did not receive any other type of compensation. As always, our experiences and opinions are our own.